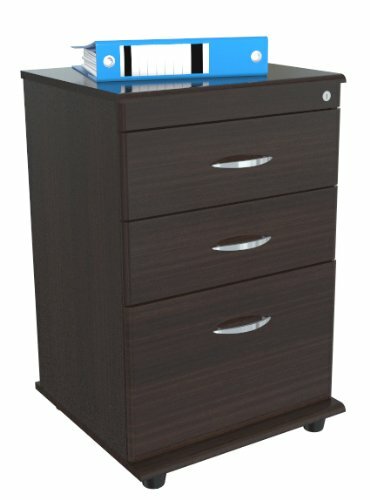 File Cabinet with 2 Accessory Drawers and 1 File Drawer - Functional modern design is an excellent choice for home or office. P2 engineered wood 5/8" boards, coming from well managed forests, double-faced laminated in durable Melamine which is stain, heat and scratch resistant in elegant Espresso-Wenge color. Plastic base gliders. Easy to assemble. If you have any questions about this product by Inval America, contact us by completing and submitting the form below. If you are looking for a specif part number, please include it with your message.